You are here: Home / Food Venture / Tony Roma’s New Cravings – Ribs, Steak and Seafood Cravings! Tony Roma’s New Cravings – Ribs, Steak and Seafood Cravings! With new special promotional dishes launched almost every month in Tony Roma’s since the early year of 2014, this famous dining destination for best ribs in town has given more choices for diners to choose from in every visit. From 17th March to 20th April, NEW CRAVINGS promotion takes the limelight with new creations from the States that will surely satisfy ribs, seafood and steak lovers. 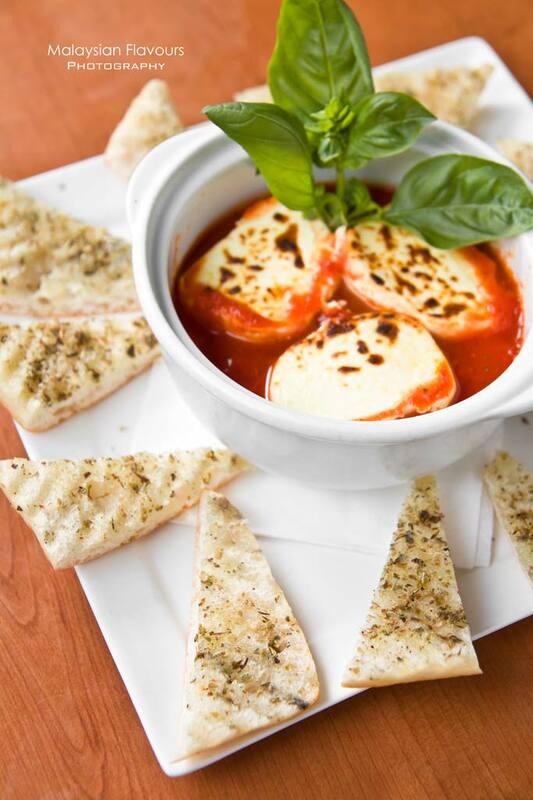 Start the meal with new exciting appetizer with features small blocks of toasted cream cheese drenched in warm marinara sauce, laced with ciabatta points smothered with homeamde truffle butter and toastes. The ciabatta is good on its own, buttery with a touch of herbs flavours, but a dip into the sauce brings an extra tomatoish, cheesy sensation. Somehow Summergirl loves the marinara dip alone, as she said the savouriness of cream cheese balance well with the sourish tomato sauce.They taste good individually, yet awesome when combined. 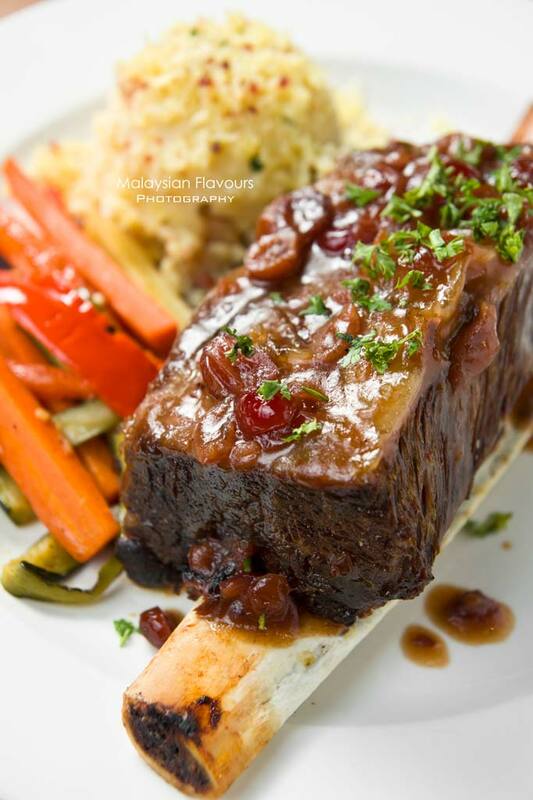 Tony Roma’s beef ribs lovers, take a swift from the usual Roma’s ribs and indulge in this Beef Short Rib with Cranberry Demi Glaze. It is meatier, giving more chews with a refreshing, fruity touch from the homemade cranberry sauce topping over. Served with fire-roasted vegetables and mashed potato. Believe it, this is a crowd favourite in America! Fresh, flaky salmon rubbed with signature spices and grilled, topped with homemade Sriracha butter. While the salmon is undeniably great, what makes this dish special will be the the Sriracha Butter, a new type of hot sauce which is now sweeping across the world. The sauce appears in orangish colour, taste not far from butter oil with an exotic flavour. Seems usual but as we dip the salmon into sauce, it is a whole new story. 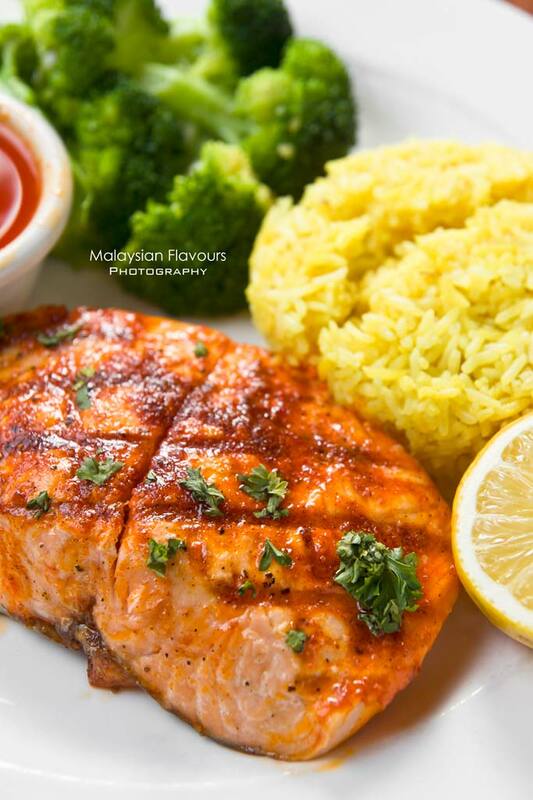 The salmon’s own flavour is toned down as every inch of it overlaid with Sriracha sauce, resulting in a smoother, more buttery goodness. Don’t just take our word for it, give it a try! 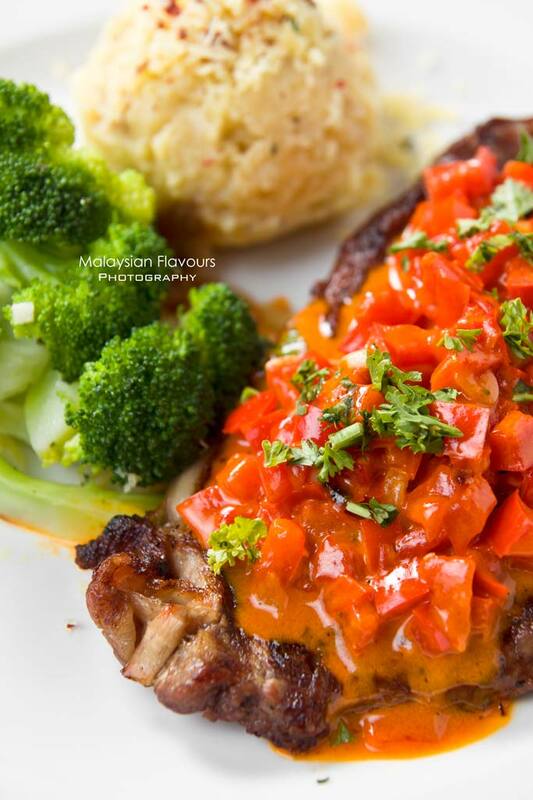 A beautiful piece of flame grilled New York strip steak, soft and tender, showered with a roasted red pepper sauce for a perfect creamy, robust flavour that comes with bites of bell pepper. A very nice sauce that Summergirl almost want to lick the whole plate clean, polishing the scattered diced bell pepper one by one until one of the friends ask: “You really like the sauce huh?”. Haha, obviously. Served with choice of two sides, get a three thumbs up for this wholesome dish! Everything is good from the appetizer to the main dishes, same goes to the dessert. 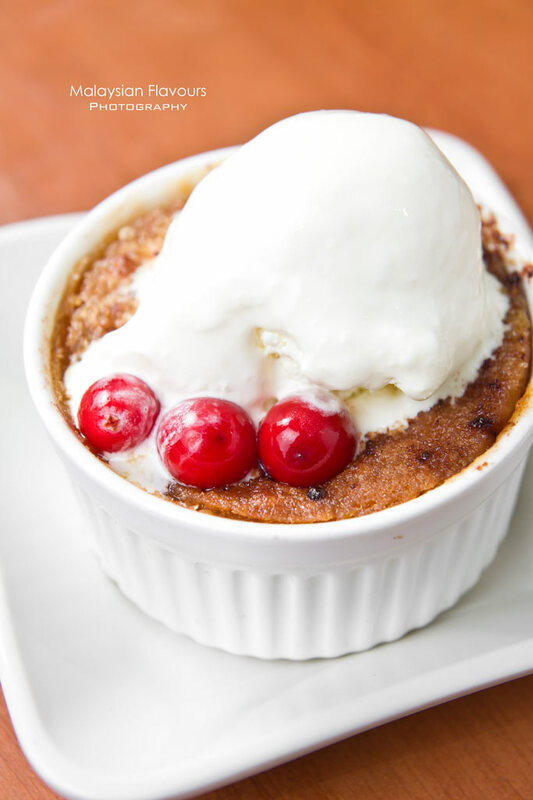 End the meal with Seasonal Cobbler- a medley of warm red apple, pear and cranberry cobbler with cinnamon crust, crowned with vanilla ice cream. A hot and cold concoction that is simpl divine. Don’t miss the chance! The promotion only runs from 17th March to 20th April 2014 at all Tony Roma’s outlets. Also, good news for those who work or stay nearby Ara Damansara, Skypark, Glenmarie, Subang2, Sungai Buloh and Kelana Jaya! Tony Roma’s will be opening at Citta Mall on 1st April 2014! Hurray!